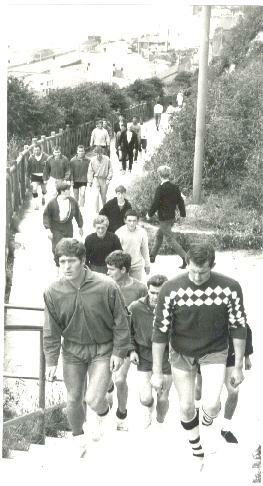 Pre-season training in 1967 consisted of a swim in the harbour and what looks like a leisurely stroll up the East Cliff path, with Jim Ryan and Bill Price in the lead. 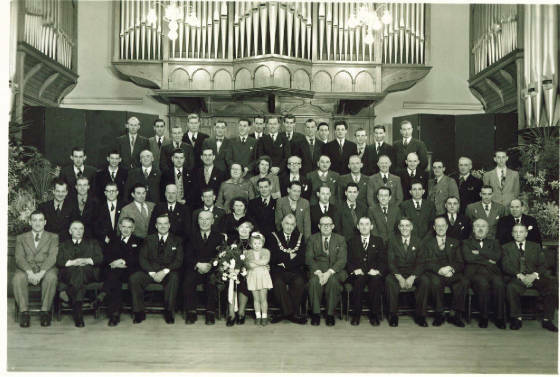 This picture shows the "Dover Football Supporters Club c1954" in the Town Hall, presumably at an end of season dinner-dance. Some of the faces have been identified for me, but there are many that remain anonymous. Please e-mail me if you can help identify anyone in the photo. 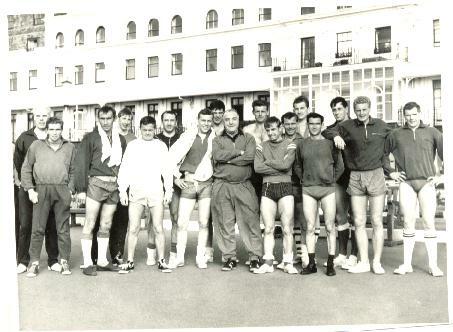 Players and directors are included in the group, for example, Fred Durrant is on the end of the front row, on the left. Dickie Parfitt is on the extreme right of the back row. Click on the picture to open a new window containing a much larger version. 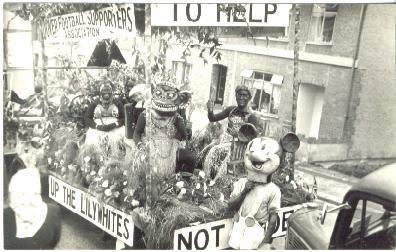 This photo shows the Supporters' Association float in the Dover Carnival in about 1954. Can anyone give me any further information?